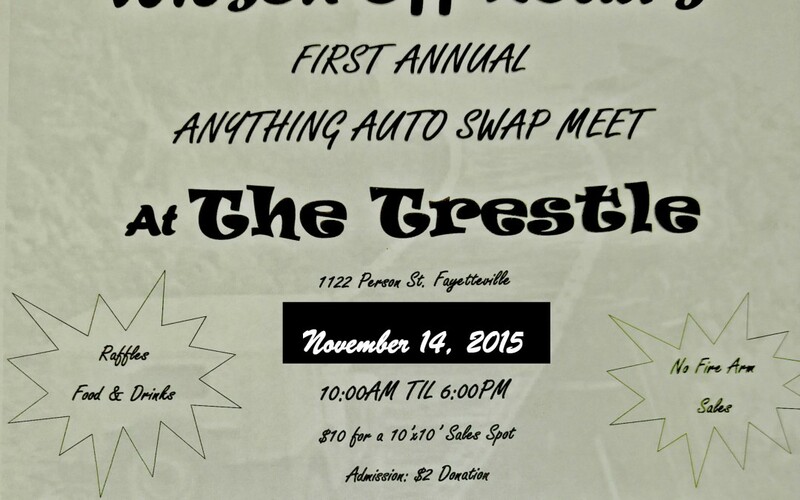 Due to a 90% chance of rain, we will not be having the much anticipated Swap Meet at The Trestle this weekend. But worry not! We have re-scheduled the event for the following Saturday, November 14th. 520 E. Russell St. Fayetteville, NC 910-423-ROAD (7623) FAX: 910-423-4947 Contact@wilsonoffroad.com Follow us on Facebook, Twitter and Instagram.